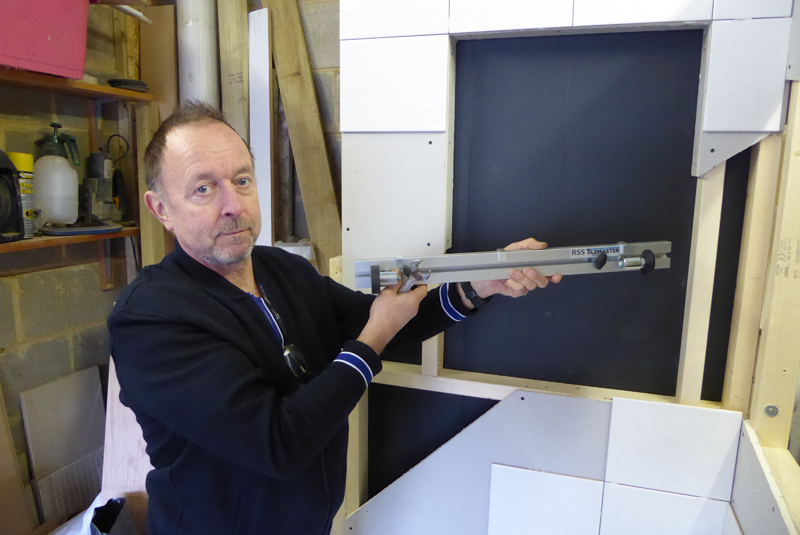 Kieran Nee visits Richard Sikorski, who has come up with a timesaving solution for tiling. “The problem you face as a tiler is how to support a row of tiles halfway up a wall, under a window for instance. I’ve got a friend who’s a professional tiler, and he used to put a wooden batten along the wall and prop up the tiles that way. That’s a lot of messing around and you come back the next day wondering whether it’s still up. Even a light tile with a good adhesive will slip slightly, so when you’re using heavier ones it becomes a real problem. I thought there must be a better way, a less tricky way.” Eventually, East Grinstead’s Richard Sikorski came up with a solution to the problem faced daily by tilers across the land in the form of the RSS Tilemaster. From his suburban garage, Richard works on his creation around his full-time career as a carpenter. For more information, visit www.rsstilemaster.co.uk.